Stupas are perceived in all Buddhist cultures differently. Their goal is to actually show us our nature and express the transformation of all disturbing feelings, such as attachment, aversion, confusion, jealousy, etc., in a pure form that would inspire us and help us become more useful for others and ourselves. 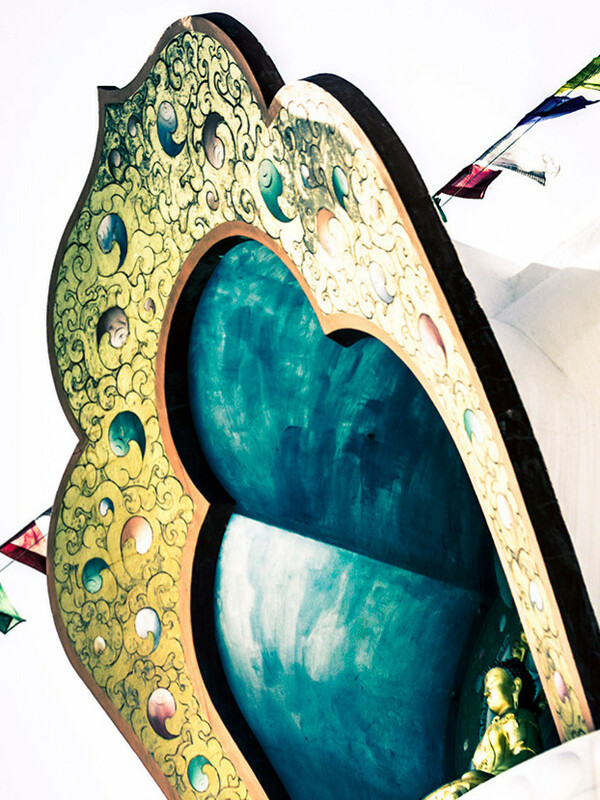 A stupa symbolizes four activities: peace-giving, increasing, fascinating and protecting. It also expresses five Buddha wisdoms, and brings a very strong psychological experience. 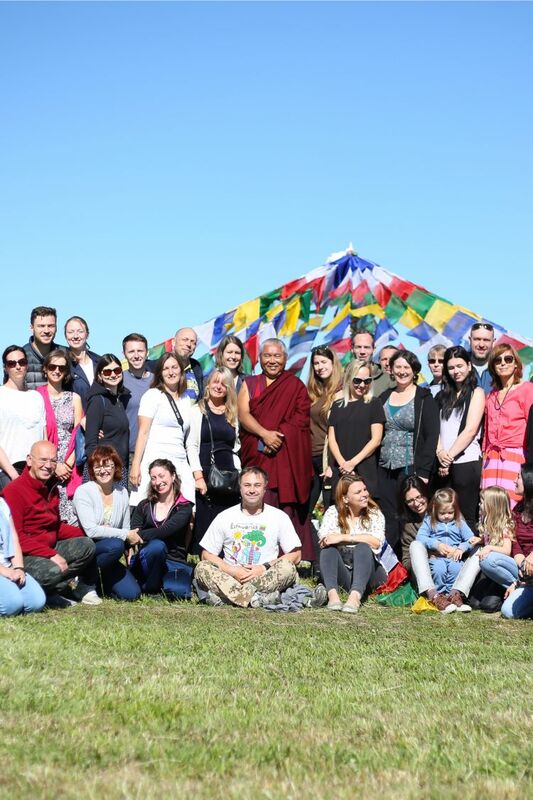 Lama Ole Nydahl has visited Stupkalnis many times, and every time he blessed the current Stupa place. H.H. the 17th Karmapa Trinley Thaye Dorje visited Stupkalnis in 2012 and suggested asking Sherab Gyaltsen Rinpoche about the type of and the place for the Stupa. In 2013, Sherab Gyaltsen Rinpoche visited Stupkalnis for the second time, and not only chose the place, but also the type of the Stupa – Buddha’s Descent from Gods’ realm. 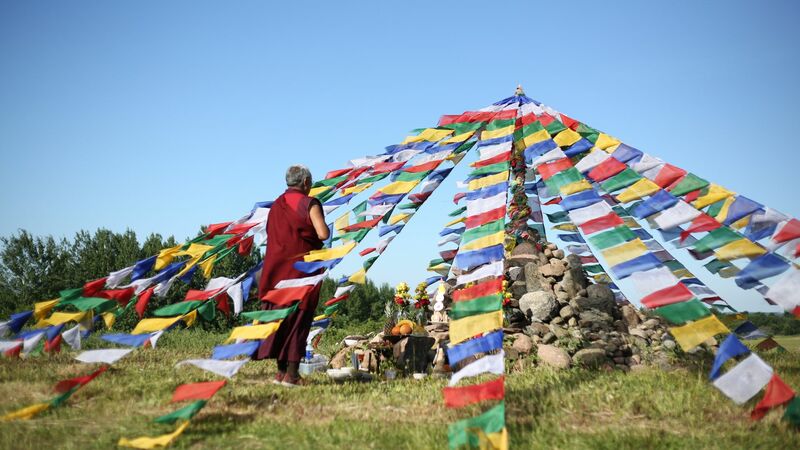 In the summer of 2017, Lama Ole Nydahl invited Nedo Kuchung Rinpoche to build and inaugurate the Stupa in Stupkalnis in 2020. 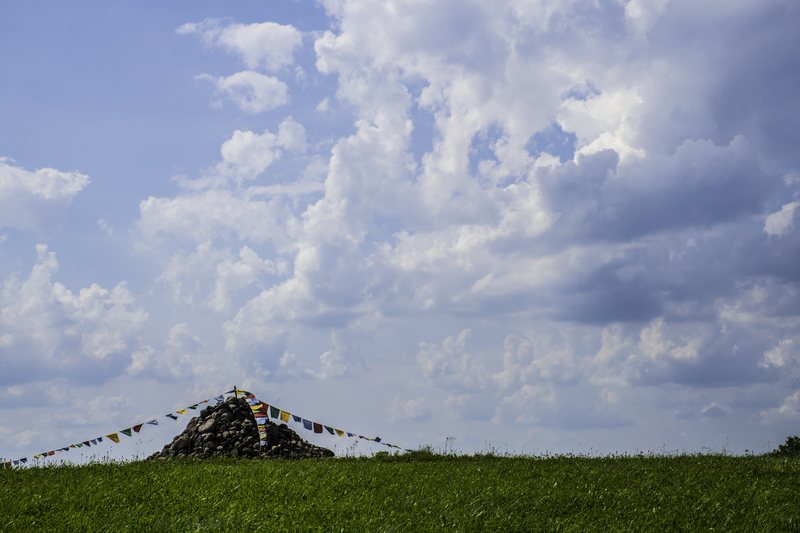 All our Sangha is very much looking forward to the building and inauguration process of the Stupa in Stupkalnis in the summer of 2020! Stupas have been built in Asia for centuries, while in Europe only since 1982. Stupas in Europe mean the strengthened transmission of Asian Buddhism coming to Europe and that the Dharma can grow here. 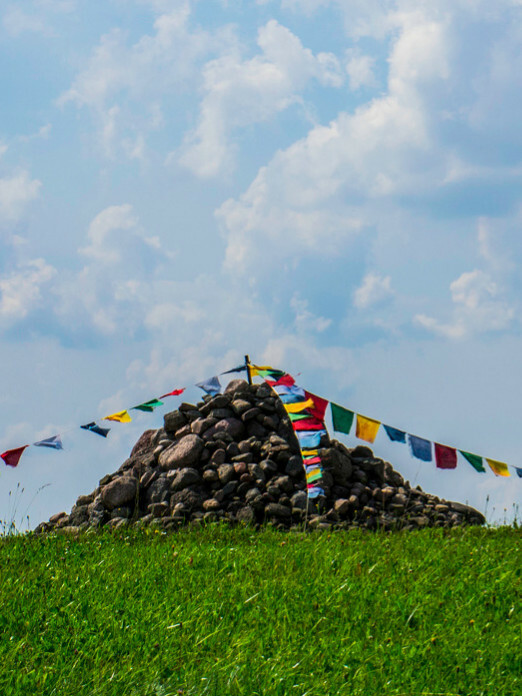 Their symbolism is multifaceted: for instance, a stupa stands for various Buddha wisdoms, but it also may refer to the community of practitioners, the Sangha. 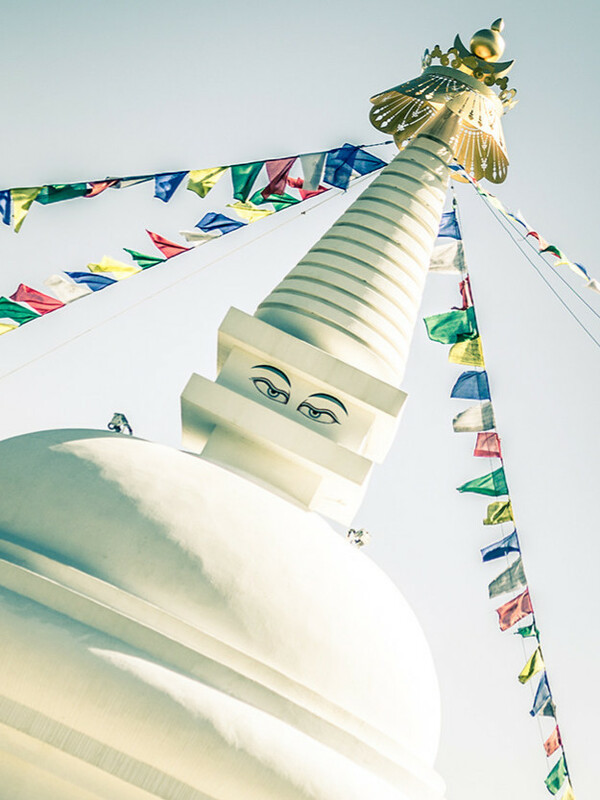 Generally, it is said that the spiritual influence of a stupa is so great that those who revere them, help during its construction, or those who live in the vicinity, experience its positive effect as a source of peace, happiness, and prosperity. Those who circumambulate the stupa clockwise while making wishes for the benefit of all beings experience a blessing, which enables one to live a long, meaningful, and exemplary life. Stupa also purifies the atmosphere making it possible for realized teachers to be reborn there and that the Dharma (Buddha’s teachings) can grow. Stupa brings peace and prosperity to the country in which it is built. It protects the location where it stands, such as a Buddhist center. 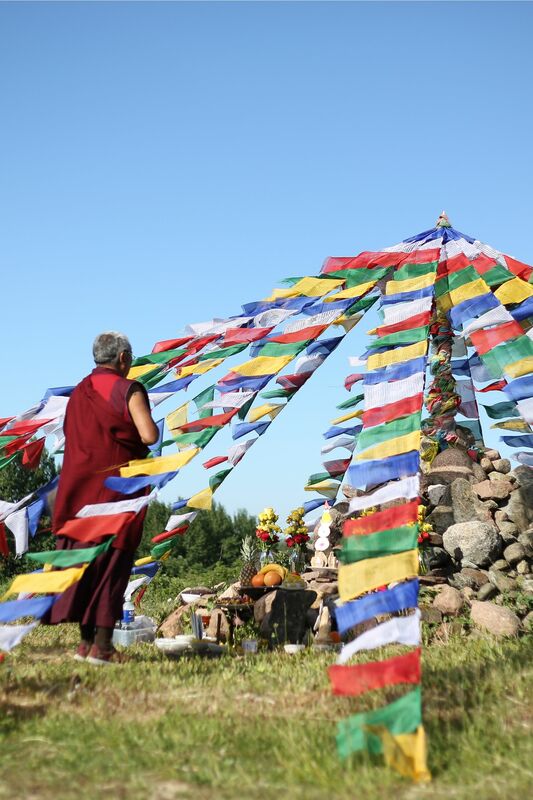 Buddhist Retreat Centre in Stupkalnis is the main Diamond Way Karma Kagyu Lineage centre in Lithuania and the biggest international retreat centre in Baltic countries, which connects Diamond Way Buddhism in the Baltics: Estonia, Latvia, Lithuania, Belarus, Kaliningrad region and neighbouring countries. It is one of over 650 Diamond Way Buddhism centres, all started by Lama Ole and Hannah Nydahl at the request of the 16th Karmapa Rangjung Rigpe Dorje. Currently, the main lama of Karma Kagyu lineage is H.H. the 17th Karmapa Trinley Thaye Dorje. 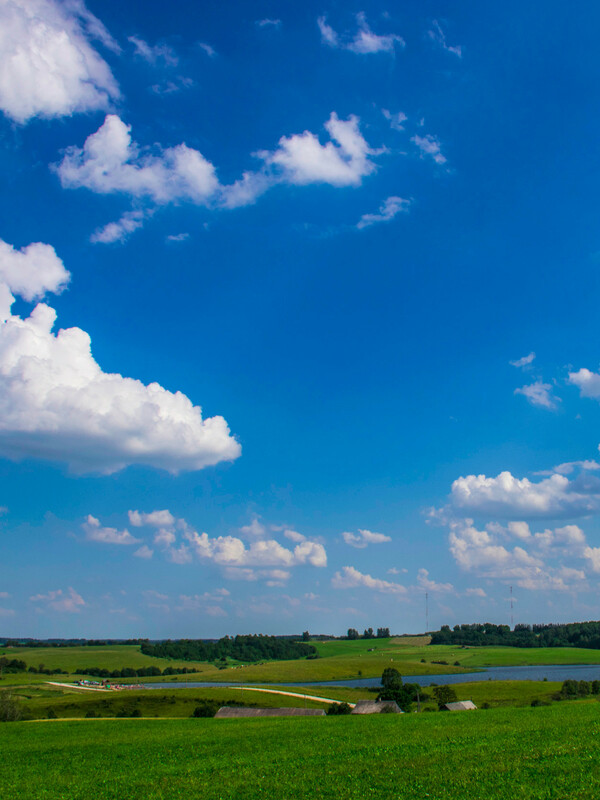 Diamond Way Buddhist Community purchased a piece of Stupkalnis land in 1997. Since 1998, the Community has been organising international Buddhist courses here. Today, summer courses are held in Stupkalnis retreat centre each year, often in the main house with a meditation room that can fit around 200 people. 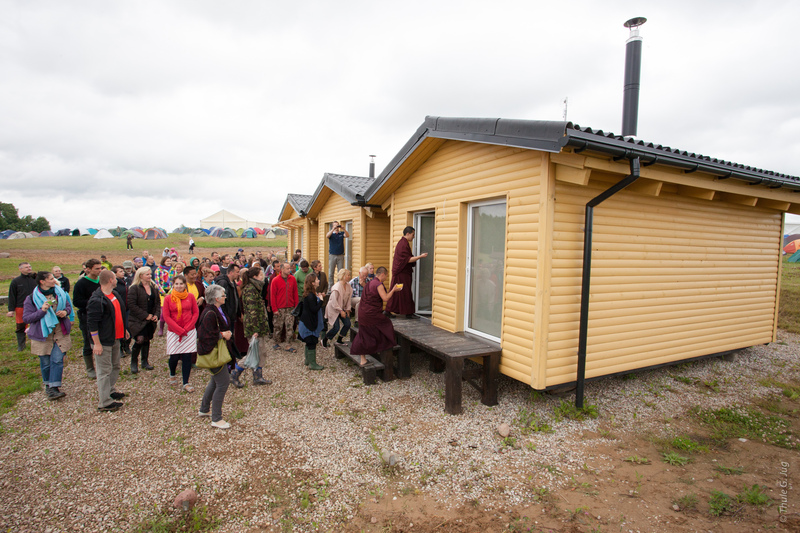 In addition, there are three huts available for Diamond Way buddhist retreats. H.H. the 17th Karmapa Trinley Thaye Dorje, Lama Ole Nydahl, and Sherab Gyaltsen Rinpoche have all given teachings here. I consent to Stupkalnis collecting my details through this form. Lama Ole Nydahl and his late wife Hannah were the first Western students of H.H. the 16th Gyalwa Karmapa Rangjung Rigpe Dorje. 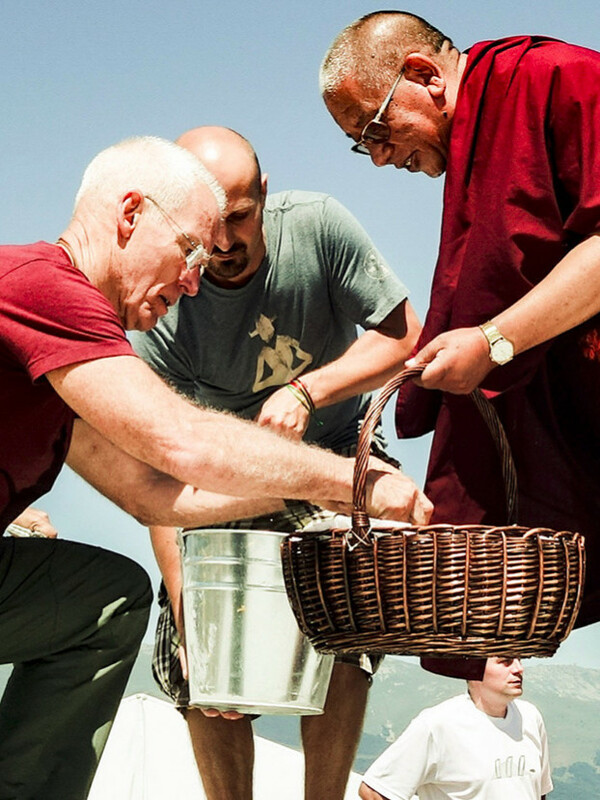 For over 40 years, Lama Ole Nydahl has taught Diamond Way Buddhism to tens of thousands of students and founded over 650 Buddhist centers worldwide. 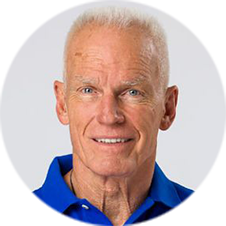 Lama Ole Nydahl specializes in the practices of Mahamudra (the “Great Seal”) in which a realized teacher can give an experience of the limitless nature of mind to the student, and Phowa—a rare, centuries-old method of conscious dying. He teaches his students to combine lay Buddhist practice with independent thinking and the maturity that comes through life experience. A recent winner (13th of June, 2015) of the UNESCO prize for Dialogue, Coexistence, and Peace, Lama Ole Nydahl also underlines the importance of democratic principles in the society, especially freedom of speech and women’s rights. Rinpoche kindly accepted Lama Ole Nydahl’s invitation to build and inaugurate a stupa in Stupkalnis in 2020. Nedo Kuchung Rinpoche was born in 1962 in India, and recognized by H.H. the 16th Gyalwa Karmapa as the sixth reincarnation in the Nedo Kulha lineage. Until the age of 18, Rinpoche was educated under the guidance of H.H. the 16th Gyalwa Karmapa in Rumtek monastery. 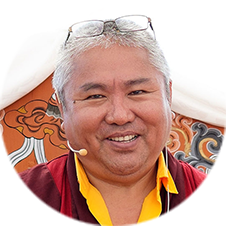 He then studied for three years in Ladakh before returning to Rumtek for a three-year retreat, where he practiced the tantras of Marpa, the Six Yogas of Naropa, and various Mahamudra transmissions. When he was 25, Rinpoche was appointed Vajramaster of Rumtek monastery, and he remains today the main Vajramaster of H.H. the 17th Karmapa Trinley Thaje Dorje. 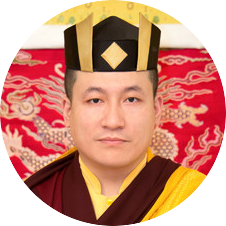 Nedo Rinpoche is currently responsible for Shamar Rinpoche’s monks as well as all activities of the Karma Kagyu lineage in Sikkim. In order to get the best possible benefit from our increasingly precious time, it is very useful to spend time in an existing enlightened power field. Although the truth state is the same everywhere, the power fields of the joy state condense most strongly where the blessings for them have been specifically placed. The desired increase in mental surplus will be more effective in such places. The prerequisite for the full advantage of such a retreat is the protection of Buddhist refuge and the decision to follow the Diamond Way path of the Karma Kagyu lineage. One learns to know ones mind through meditation. In this process we loosen the hold of inner habits and outer expectations. A retreat tremendously amplifies this effect by creating more distance to everyday life. Without the distraction of daily life minds calmness and insight can be more deeply and fluidly experienced. The Diamond Way view allows us to connect the experiences of a retreat with those of daily life. Meditation retreat means certain experience and maturity of practitioner, so one is supposed to start in one of our city centers. Check which one is closest to you. Also you can try public program or so called group retreats at Stupkalnis retreat center. You can follow Stupkalnis facebook page for more information. We kindly ask you to register via email stupkalnis@budizmas.lt at least two weeks before your arrival. You are more than welcome to support the stupa construction in Stupkalnis retreat centre. You might want to consider a regular or one-time donation.